GENERAL: As a supplier to General Aircraft Company (GAC) it is understood your organization agrees to meet the Terms and Conditions and Quality Clauses set forth in these Supplier Terms and Conditions / Quality Clauses (this “Agreement”) Your acceptance of any GAC Purchase Order confirms acceptance to this agreement. DEFINITIONS: “Buyer” shall mean General Aircraft Company. 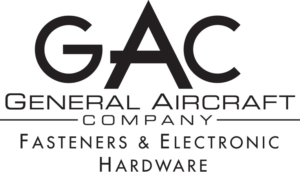 GAC shall mean General Aircraft Company. Supplier/Seller shall mean party identified as goods, material, product, parts or service provider. “Purchase Order” shall mean any transfer of data that conveys purchase information from Buyer to Seller. Acceptance of purchase orders via written, electronic, delivery or other means shall be subject to and are part of this agreement and shall supersede any different or conflicting terms provided by seller. A: Seller shall keep confidential all technical and proprietary information furnished to Seller by Buyer in connection with this order, including blueprints, data, designs, drawings, engineering data for production and any other information furnished to Seller by Buyer in connection with this contract. Seller shall not use such items or information in the design, manufacture, or production of any goods or for any other purchase without the express consent in writing from the Buyer. Seller, including its agents, employees, and representatives will exercise extreme caution to prevent disclosure of such information to third parties. The obligations of this provision shall survive the completion of performance and expiration or termination of this contract. B: Buyer and authorized representatives of Buyer’s customers and / or Regulatory Authorities shall have direct access to all applicable areas of all Seller’s and Seller’s Subcontractor’s facilities (at any level of the supply chain) where work under this order is being performed, to review progress, records and witness testing of the items related to this order. Seller shall include this clause in all of Seller’s subcontracted purchase orders. C: Prior to shipment, Supplier shall notify General Aircraft Company if a non-conforming condition exists with the product and obtain approval for nonconforming product disposition. D: Supplier shall notify General Aircraft Company of changes in product and/or process, changes of suppliers, changes of manufacturing facility location and, where required, obtain organization approval. E: Supplier shall flow down to the supply chain the applicable requirements including customer requirements. G: Quantity variances and / or partial shipments are not permitted unless prior written authorization is received from the buyer. H: All goods supplied shall be suitably packaged and protected, marked, and shipped in accordance with buyer instructions and specifications. In the absence of instruction, Supplier shall contact the Buyer. I: Supplier shall maintain a quality system in accordance with the latest revision of AS9100, AS9120, ISO9001 and be compliant with all other terms of the purchase order for manufacture and delivery of product or service as stated. J: Warranty: Seller warrants all goods and services meet specifications and government requirements and are free of defects in material, workmanship, and design. Seller warrants goods and services will conform to applicable specifications, drawings, designs and quality control plans. K: Indemnification: Supplier shall indemnify buyer and its affiliates, employees, representatives and agents and its direct or indirect customers against all damages, liabilities, claims, fines, penalties, costs or losses including attorney fees arising from or relating to goods or services acquired under this agreement. L: QUALITIY CLAUSES REQUIRED FOR ALL PURCHASE ORDERS: Q01, Q02, Q03, Q06.1, QO6.2, Q06.7, Q08, Q13. Additional quality clauses may apply as noted on purchase order. Supplier shall not implement any changes in design, material or processes without written approval from the Buyer prior to supplying services and/or material. The supplier is also responsible for compliance by sub-contractors. Supplier shall meet and maintain a calibration system in conformance with ISO 10012-1, ISO 17025 or ANSI Z540-1, and all measuring and test equipment must be traceable to NIST (National Institute of Standards Technology). This is a rated order certified for national defense use. The Supplier and/or their sub-contractors shall follow all the requirements of the Defense Priorities and Allocations System (DPAS) regulation. Supplier Certification of Conformance is required with this order. A legible and reproducible Certificate of Conformance with statement of complete conformance to goods ordered and meets all drawing and purchase order requirements will accompany each shipment. Certifications must show the part/equipment number, revision, quantity, specification, manufacturer’s name and lot number with complete trace (chain of custody) to the true manufacturer and have a legible printed and signed signature with title of responsible person signing the certification. Manufacturer Certification of Conformance is required with this order. A legible and reproducible Certificate of Conformance with statement of complete conformance to goods ordered will accompany each shipment. Certifications must show the part/equipment number, revision, quantity, specification, manufacturer’s name and lot number, and have a legible printed and signed signature and title of responsible person signing the certification. Each shipment must be accompanied by one (1) legible and reproducible copy of the raw material certifications, all chemical and physical test reports identifiable with materials ordered. The reports must contain the signature and title of the authorized representative of the agency, must assure conformance to specification requirements and must be traceable to the mill heat or lot number. Processing certifications are required for all Sellers providing processing. All certifications must indicate that the process has been performed to drawing requirements. Parts are subject to rejection without correct documentation. A First Article Inspection Report IAW AS9102 REV.B WITH BALLONED DRAWING AND ALL REQUIRED CERTS is required with delivery of goods. Only NADCAP approved suppliers of heat treat, plating and NDT shall be used in processing this order. Qualified NDT personnel shall be certified IAW NAS410. Each shipment shall be accompanied by copies of actual quantitative records of inspection, including the nature and number of observations made and traceability to the part number, material or services being provided by the Seller. Government Source Inspection is required and shall be performed at Supplier’s facility prior to shipment. As directed by General Aircraft Company, any in -process inspection is also mandated by this clause. A minimum of 48-hours’ notice to General Aircraft Company, prior to inspection, is required when this clause is invoked. Supplier shall provide evidence of Government Source Inspection with each shipment. Items or services procured under this order are subject to source inspection at supplier’s facility by General Aircraft Company or its customer prior to shipment. The seller shall furnish acceptable facilities and equipment necessary to perform inspection at no cost to General Aircraft. Please advise the buyer within three working days in advance of the subject product being available for inspection. Supplier shall retain all records of this order for a minimum of 10 years, including, as applicable, production, processing, calibration, inspection and test. After the required retention period the supplier may disposition the records according to their process. Seller shall ensure employee awareness of their contribution to product conformity, product safety and the importance of ethical behavior. Supplier shall ensure that the Foreign Object Debris/Damage (FOD) if any, is removed before the shipment wherever applicable will flow down this requirement to its sub-tier suppliers. Materials supplied must comply with requirements of the Dodd Frank Act section 1502. Goods supplied are to be supplied from a single manufacturing and material lot. Limited shelf life product must be delivered with 85% usable shelf life remaining. Certifications must include cure date and shelf life limitations. If any portion of this purchase order is subcontracted, the supplier must flow down all GAC’s requirements to the subcontractor including GAC’s customer requirements.